Tom Tomsk’s story is one of collapse. Back in 2016/17 the club from the Siberian city of Tomsk was relegated from the Russian Premier Liga after finishing dead last in the standings. Furthermore, to make matters worse Tom Tomsk also faced financial collapse throughout that season after the Tomsk Oblast (regional government) cut funding to the club halfway through the season. It was an all to typical process overall. Many Russian clubs are dependent on government funding, which also means that teams are dependent on regional funding. Those regional funds, however, are determined in annual budgets. Back during the time of the old Soviet and Russian football calendar that saw league play from March to November that was not a big problem as clubs knew the funds available to them throughout the entire season. Watch football live. Book your custom European football travel tour by visiting Nickes.com! Russian football, however, changed its schedule to the European calendar following the 2010 season. The following season, the first to be played on the European schedule, Tom Tomsk were relegated for the first time and remained a yo-yo club going up and down between the Russian Premier Liga and the Football National League. The latest promotion was achieved in 2015/16 after finishing third in the FNL. By the time Tom Tomsk had been promoted, however, it was May and when the league kicked off in the summer Tom had already burned through a significant chunk of their yearly budget. Hence, when the league started there was not enough funding available to put together a competitive squad. Matters were made worse when it was announced that the regional government would cut the budget to the club at the start of 2017. Overall, 17 players would leave the club that winter and another nine players would leave the club at the end of the season. Tom Tomsk ended up finishing the season with just 14 points from 30 games and a goal differential of 17 to 64. In fact, the club was lucky to finish the season at all and that following the end of the season did not have to declare bankruptcy. Nonetheless, the turnover of players continued and throughout the 2017/18 season faced relegation from the Football National League. 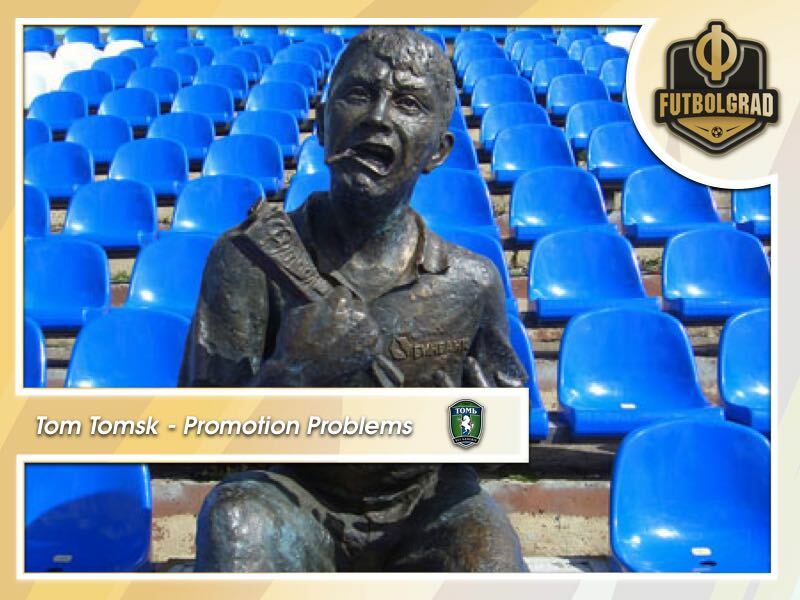 Tom Tomsk finished that season in 15th spot just one point on top of the relegation zone. Not that the club would have been relegated anyhow as Kuban Krasnodar, Volgar Astrakhan, as well as, Russian Cup winners FC Tosno all declared bankruptcy, finally Ararat Moscow failed to obtain a licence. In the end, relegation would not have mattered much, however, anyways. The Football National League is a financial disaster zone for clubs. In fact, most teams are in the same boat as Tom. Owned by regional governments or government agencies clubs always walk a fine line between sporting success and financial survival. Tom Tomsk are, in fact, not the only side trying to avoid promotion. Aside from first-placed Tambov, who have their very own promotion headaches, only FC Sochi, FC Nizhny Novgorod (both clubs have World Cup stadiums) and eighth-place SKA Khabarovsk have voiced interest to go up. Add to that that first division side Anzhi Makhachkala are in severe financial problems and could, therefore, forced to go down even if they survive the relegation dogfight in the first division. Usually, two clubs go directly up to the Russian Premier League, with two further clubs playing a two-legged playoff against 14th and 13th place of the RPL. Whether there will be playoffs should there be not enough clubs interested to go up remains to be seen, however. With Tom Tomsk out of the picture fifth-placed Chertanovo, sixth-place Shinnik Yaroslavl are all of a sudden in the promotion picture — both are just one point behind the playoff spots. But both lack the infrastructure to go up at the end of the season. The same is the case for last year’s Russian Cup finalist Avangard Kursk. That would indeed leave SKA Khabarovsk for the final playoff spot. Overall, it paints the FNL in an interesting picture and set up the league for yet another drama-filled relegation and promotion drama, just like it was the case last year when several teams were allowed to stay in the league despite being relegated.